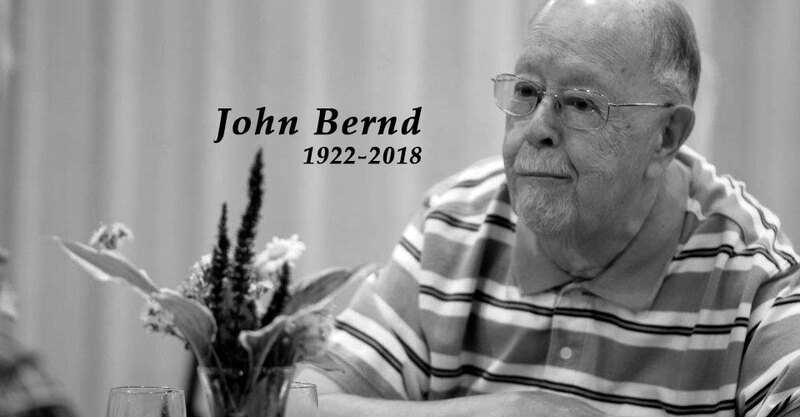 Retired UW-Stevens Point Professor of Education John Bernd died Jan. 28, 2018, at the age of 95. He was selected as the first chair of the then Department of Education in 1965. Education was the fulcrum of his life. It started with his own education in La Crosse, at Central High School and La Crosse State Teachers College and continued to long career as a teacher. John engaged students through the years as a Wisconsin high school instructor at West Salem, Merrill and South Milwaukee. His passion for learning led to a Ph.D. at Madison and his next phase as a university professor at William Patterson University, Wayne State University, UW-Stevens Point and University of Saskatchewan. A private family ceremony will be held in the near future. Donations and remembrances can be made to the UW-Stevens Point Foundation and its John Muth Bernd Scholarship as well as the Stevens Point Noon Lions Club.